The State of the Polar Bear Report for 2018, published today by the Global Warming Policy Foundation, confirms that polar bears are continuing to thrive, despite recent reductions in sea ice levels. This finding contradicts claims by environmentalists and some scientists that falls in sea ice would wipe out bear populations. The report’s author, zoologist Dr Susan Crockford, says that there is now very little evidence to support the idea that the polar bear is threatened with extinction by climate change. 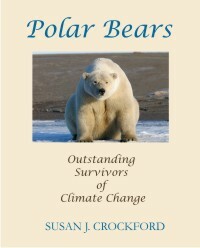 “We now know that polar bears are very resourceful creatures. They have made it through warm periods in the past and they seem to be taking the current warming in their stride too”. In fact, it is the human residents of the Arctic who seem to have most to worry about. With more and more bears on the landscape at all times of year, there have been worrying reports of people being threatened, mauled and even killed, particularly from Nunavut, in the Canadian north. UPDATE: Read my opinion piece in Canada’s Financial Post here. 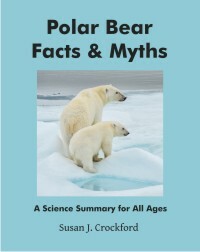 · Data published since 2017 show that global polar bear numbers have continued to increase slightly since 2005, despite the fact that summer sea ice in 2018 was again at a low level not expected until mid-century: the predicted 67% decline in polar bear numbers did not occur. · Despite marked declines in summer sea ice, Chukchi Sea polar bears continue to thrive: reports from the first population-size estimate for the region, performed in 2016, show bears in the region are abundant (almost 3000 individuals), healthy and reproducing well. 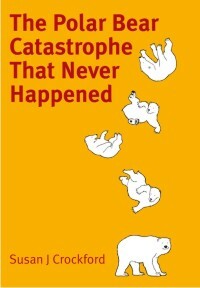 · National Geographic received such a profound backlash from its widely viewed ‘this is what climate change looks like ’ starving polar bear video, released in late 2017, that in 2018 it made a formal public apology for spreading misinformation. · Polar bear attacks made headlines in 2018: two fatal attacks in Nunavut, Canada and a narrowly averted death-by-mauling in northern Svalbard caught the world by surprise. Citation: Crockford, S.J. 2019. State of the Polar Bear Report 2018. Global Warming Policy Foundation Report 32, London. This isn’t news but it’s good to hear it again, this time from the mouth of one of the biologists who collects the data: against all odds, the primary prey species of polar bears are doing spectacularly well. Ringed and bearded seals across the Arctic, including the Chukchi and Bering Seas, were listed as threatened in 2012 by the US, hot on the heels of polar bears given the same status in 2008 (USFWS 2008, 2012a, 2012b). But American biologists didn’t even pretend that the seals were currently suffering, they simply assumed they would sometime in the future (Cameron et al. 2010; Kelly et al. 2010). Now, ten years worth of low sea ice of the kind expected to drive polar bears to the brink of extinction later, and ringed and bearded seals are doing better than they did in the late 1970s and early 1980s when there was more summer ice (Adam et al. 2019; Crawford and Quakenbush 2013; Crawford et al. 2015). Quakenbush now has data that extends the period of recent research to 2016, from 2013 previously. 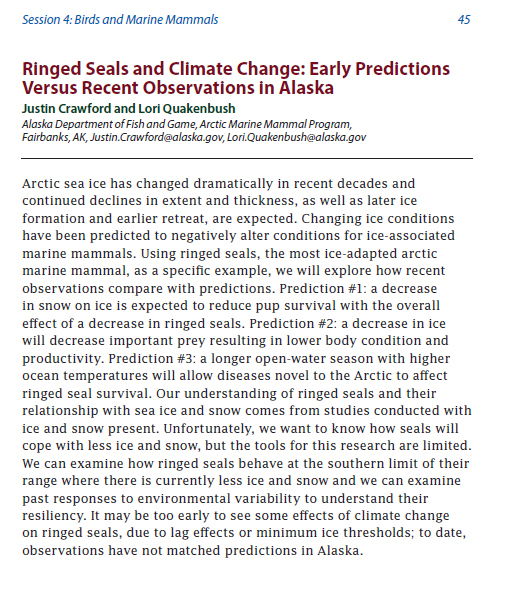 It’s hard to imagine stronger evidence in support of retracting the ESA ‘threatened’ species status designation for ringed and bearded seals: clearly, ringed and bearded seals did not respond as expected when summer sea ice declined dramatically in 2007. Quakenbush has been watching marine mammals throughout her long career, and she has given up predicting their future. She says that biologists know what the animals do with ice because they have studied that, but we don’t know what they do without it. Footnote 1. The suggestion made in this article that Sea of Okhotsk ringed seals have only recently begun to give birth on the sea ice without making snow caves or ‘lairs’ is not true. Sea of Okhotsk ringed seals have been known to give birth in the pack ice (not on fast ice) without snow dens since at least the 1960s (Fedoseev 1975:158; Kelly et al. 2010a:10) and also in the ice of western Svalbard (Smith et al. 1991:129). Adam, R., Bryan, A., Quakenbush, L., Crawford, J., and Biderman, L.2019. Bearded seal productivity in Alaska using harvest-based monitoring, 1975-2016. Poster presentation, Alaska Marine Science Symposium, 28 January-1 February. Abstract: Declines in arctic sea ice extent, thickness, and duration are projected to negatively impact bearded seals (Erignathus barbatus) by reducing their time to rest, pup, nurse, and molt on sea ice. Existing population estimates for bearded seals in Alaska cannot be used to detect trends; however, the Alaska Department of Fish and Game works with Alaska Native hunters to collect data from the subsistence harvest that are used to determine several population health indices, such as: pregnancy rate, age of maturity, and the proportion of pups in the sampled harvest. These indices were previously used to determine if declines in sea ice have affected bearded seals between 1975–1984 and 2003–2014. During these time periods pregnancy rates varied minimally (92–99%); however, the average age of maturity decreased from 4.2 years in 1975–1984 to 2.9 years in 2003–2014. Additionally, pups were harvested in lower proportions during 1975–1984 than during 2003–2014 (26% and 48%, respectively), indicating that pups are still being produced, weaned, and are surviving to be harvested. Through 2014, we have not detected the decreases in population indices that have been predicted to occur with climate change. However, due to continued declines in sea ice, further monitoring is important; therefore, here we update our 1975–2014 results to include samples from 2015 and 2016. Cameron, M. F., Bengtson, J. L., Boveng, J. K., Jansen, J. K., Kelly, B. P., Dahle, S. P., Logerwell, E. A., Overland, J. E., Sabine, C. L., Waring, G. T. and Wilder, J. M. 2010. Status review of the bearded (Erignatha barbatus). NOAA Technical Memorandum NMFS-AFSC-211. Crawford, J.A., Quakenbush, L.T. and Citta, J.J. 2015. A comparison of ringed and bearded seal diet, condition and productivity between historical (1975–1984) and recent (2003–2012) periods in the Alaskan Bering and Chukchi seas. Progress in Oceanography 136:133-150. Fedoseev, G. A. 1975. Ecotypes of the ringed seal (Pusa hispida Schreber, 1777) and their reproductive capabilities. In Biology of the Seal, K. Ronald and A.W. Mansfield (eds. ), pp. 156-160. Rapports et Proces-verbaux des Reunions, Conseil International Pour L’Exploration de la Mer 169. Kelly, B. P., Bengtson, J. L., Boveng, P. L., Cameron, M. F., Dahle, S. P., Jansen, J. K., Logerwell, E. A., Overland, J. E., Sabine, C. L., Waring, G. T. and Wilder, J. M. 2010. Status review of the ringed seal (Phoca hispida). NOAA Technical Memorandum NMFS-AFSC-212. Smith, T. G., Hammill, M. O. and Taugbøl, G. 1991. A review of the development, behavioural and physiological adaptations of the ringed seal, Phoca hispida, to life in the arctic winter. Arctic 44:124-131. US Fish & Wildlife Service (USFWS). 2008. Determination of threatened status for the polar bear (Ursus maritimus) throughout its range. Federal Register 73: 28212-28303. US Fish & Wildlife Service (USFWS). 2012a. Threatened status for the Arctic, Okhotsk and Baltic subspecies of the ringed seal. Federal Register 77: 76706–76738. US Fish & Wildlife Service (USFWS). 2012b. Threatened status for the Beringia and Okhotsk distinct population segments of the Erignathus barbatus nauticus subspecies of the bearded seal. Federal Register 77: 76740–76768. January is the first month of the Arctic winter, the season when most polar bears really struggle to find enough to eat. Here is what the sea ice looked like around the Arctic at the end of this month. A man from Arctic Village (Alaska), out checking his trap-line, killed a polar bear at his cabin when it came after him: only odd things were it was the first week of January and the cabin was more than 100 miles south of the Beaufort Sea coast. Winter is hard for polar bears, as I’ve mentioned before: it’s cold, dark, and hard to find seals. Most bears are at their lightest weight at the end of winter (March). Looking for food in the dead of winter, the bears can be very destructive as well as dangerous. See previous posts here, here, here, and here. The map below shows how far south Arctic Village is from the Beaufort coast. This hunter is lucky he had his wits about him and his gun handy, because he came awfully close to being a polar bear’s dinner. Despite a wild claim that a “slow Arctic freeze” this year increases the risk that polar bears will become extinct, sea ice charts show ice returning earlier than it has for decades everywhere except the Svalbard area of the Barents Sea. That’s good news for pregnant polar bears. Although Svalbard is without ice, that’s been true for so many years that pregnant Svalbard females long ago abandoned the use of islands they used in good ice years and now make their dens in the Franz Josef Land archipelago to the east (which is still within the Barents Sea subpopulation region). Polar bears give birth around 25 December each year, so pregnant females prefer to be snug in a safe den by around the end of November at the latest. That’s been possible for all regions of the Arctic this year, including the Barents Sea — because sea ice returned to Franz Josef Land weeks ago, even though Svalbard is still ice-free. Major denning areas in Russia, including Wrangel Island, have been surrounded by ice since the middle of the month, allowing pregnant females that did not remain on shore over the summer to return to make maternity dens. Elsewhere, bears that have been confined to shore over the ice-free season (such as along Hudson Bay and Baffin Island in eastern Canada) returned to the ice to hunt seals weeks ago after the earliest freeze-up in more than two decades. More ice in Hudson Bay and adjacent regions than we’ve seen at this time of year for more than two decades: not since 1993 has there been as much polar bear habitat in the 2nd-last week of November. Other years back to 1994 had much less ice for the 2nd-last week in November, as the charts below show. Colour charts are only available from 2004. This is the second year in a row that freeze-up of Western Hudson Bay ice has come earlier than average. Movement of tagged bears and reports by folks on the ground in WH show some polar bears are starting to hunt seals on the sea ice that’s developing along the shore. It’s unlikely that a strong wind will again blow the newly-formed ice offshore (as happened earlier this year) because the ice is more extensive. It seems polar bear viewing season in Churchill will be ending early this year, just like it did last year. UPDATE 13 November 2018: See more recent ice charts and the latest (November 4-11, week 19) report from the Polar Bear Alert Program in Churchill that confirms the bears are moving offshore.